Welcome Message: the text showed in the login form of the chat. Closing Message: the text showed closing the chat. 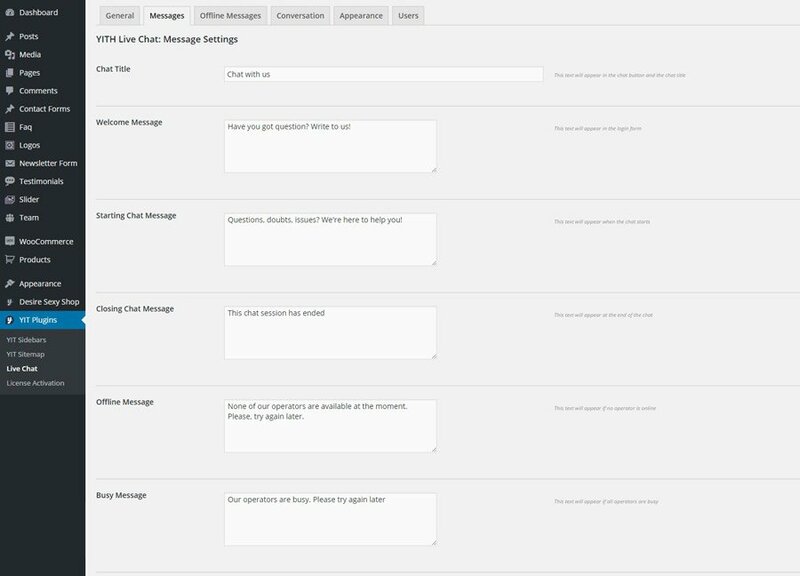 With the premium version of the plugin, you can set the maximum number of simultaneous chat guests in the option Maximum Connected Guests in plugin option panel.